I’ve been missing, I know. No need to fill out a wanted persons ad. I AM alive!!! I’m sorry for being such a crappy blogger and not posting as much as I should butttt….. I am back! And BACK at it with a punch! 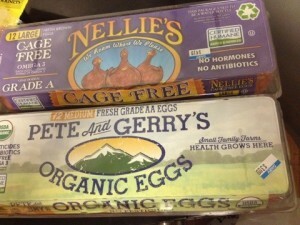 The kind folks over at Nellie’s and Pete & Gerry’s let me have some coupons to try their eggs for free. So I bought one of each and brought them home. Both of these eggs came in pretty schweet containers. A thicker plastic (that used to be a water bottle according to the package!!!) 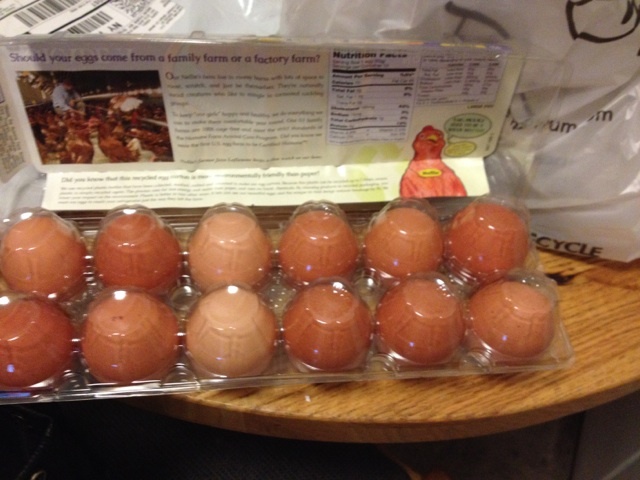 that you open up and then is another protective plastic layer on top of the brown eggs. I liked that the eggs were different shades of brown. Like it’s okay to eat food that’s not the same EXACT uniform color all the time, and has NATURAL discrepancies. I can dig it. I noticed that when cracking these eggs, the shells broke very easily. I had a few pieces of egg shell to pick out of my bowl (oops), but nothing I couldn’t handle, and a price I would pay for humanely grown, natural eggs. 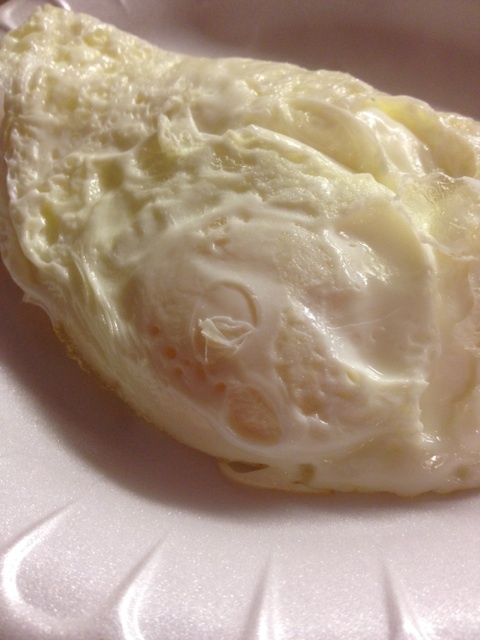 The eggs were super white in color (for the whites) and the yolks tasted amazing. I did NOT whip the egg whites before cooking, and these were definitely fluffier than any other generic bulk- eggs I would normally crack open and fry up and eat. And let me remind you I eat eggs every. single. day. So I can make this statement when I say these are excellent! 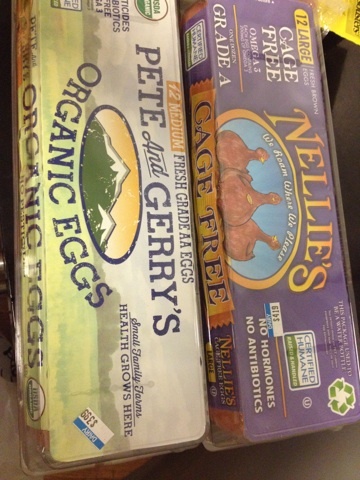 Very fresh, and I loved that the Nellie’s version, although not organic, had omegas in each egg. Overall…a solid investment. Are they pricy…yes. Unfortunately. It could be NYC’s lovely, I mean crappy, prices, but these were 4-5$ a carton. And being I can eat 12 eggs/egg whites in a day, this is something I would buy and ONLY eat if I were to eat the whole egg and not something I would buy to use the white and discard the yolk. Although, I did make brownies with these eggs…so whoever got a batch of those consider yourself v e r y lucky I used 3 precious eggs on you! !